Personal injury, criminal, oil and gas law, and general civil litigation. Admitted to the bar in Ohio, West Virginia, and Pennsylvania as well as the following United States District Courts: Northern and Southern Districts of Ohio and the Southern District of West Virginia. Outside the office, Bob spends a great deal of time raising his four children who are involved in various extracurricular activities. Aside from work and family time, Bob attempts, although unsuccessfully, to golf at a high level and self-proclaims to be quite the grill master. Growing up, Bob’s dad was an attorney with many appreciative clients. He saw how his dad helped people and he wanted to make a similar impact on people’s lives, too. After working as a “bag boy” at a public golf course, where he learned the importance of listening in order to meet customer needs, Bob went on to college and law school, eventually entering private practice at Graham & Graham. Every day, he applies his early experience—carefully listening to his clients’ stories—while using his legal skills to address their needs. 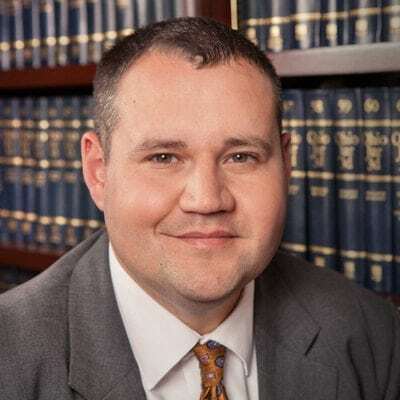 Bob represents clients in matters ranging from personal injury, slip and fall, dog bites, and medical malpractice, to motor vehicle accidents involving cars, motorcycles, or semi-trucks, and wrongful death and general business litigation. His clients appreciate his honest approach to their problems and his tireless devotion to their causes. Injury law has many facets, but Bob’s first priority always is to make sure his client is receiving competent medical care from the most appropriate providers that can remedy their injury—no matter how slight or serious. When he first meets with his client in-person, which may be in a hospital, their home, or one of Graham & Graham’s office locations, Bob works to get a clear picture of how their injury has affected their everyday life. Bob is a strong advocate for his clients. He squares off against those parties or entities that would try to bully his client or prey on the weakness of their situation. Any time Bob is able to take the pressure and uncertainty of handling an injury claim away from his clients and get money damages in return, he considers his work a success. Bob also points out that the breadth of knowledge that the firm as a whole can bring to a legal case is unmatched.